The front entrance to our "piece of the sky"
of interest that we will sell on this website. The original Trinity aquifer well drilled in the late 1950's. Three generations of well pullers from the Saur family have worked on it. The back of the Guest Caboose at Dusk. 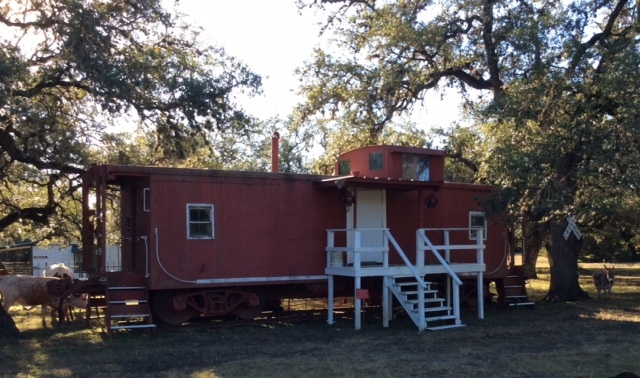 The front of the Guest Caboose at Dusk. 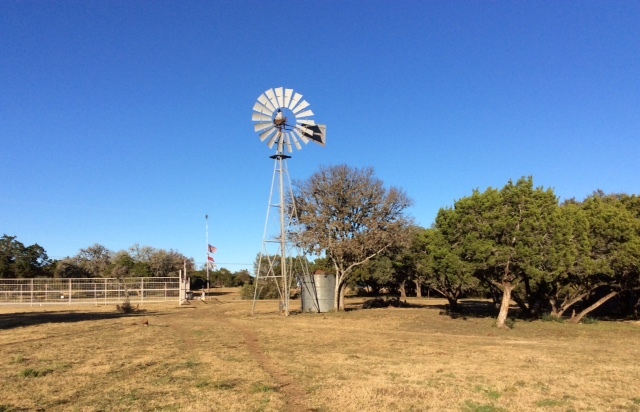 Well & water run off fed pond at the back of the ranch residence. The front porch of the Guest Caboose. We really do not tolerate trespassers at El Sitio. Signs, signs, everywhere there are signs! Back view of the main ranch house at El Sitio. View of cleared and improved North Feed pasture. 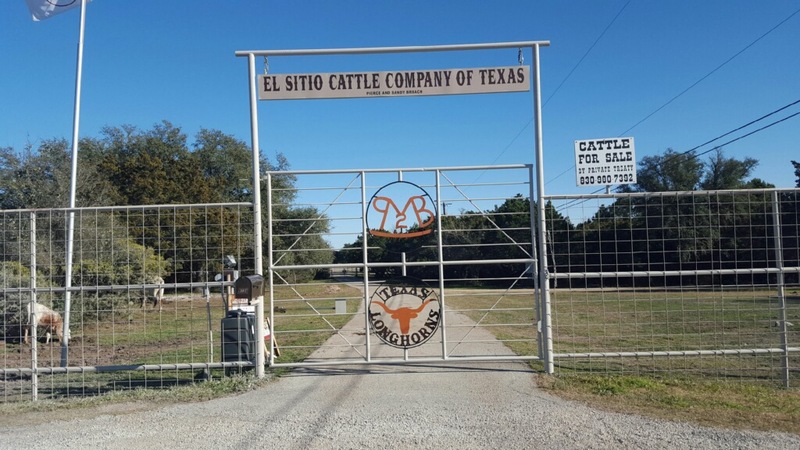 Original cattle pens built in the late 1930's by Woodrow Wuest. Exterior high fence in Australian non climb wire. 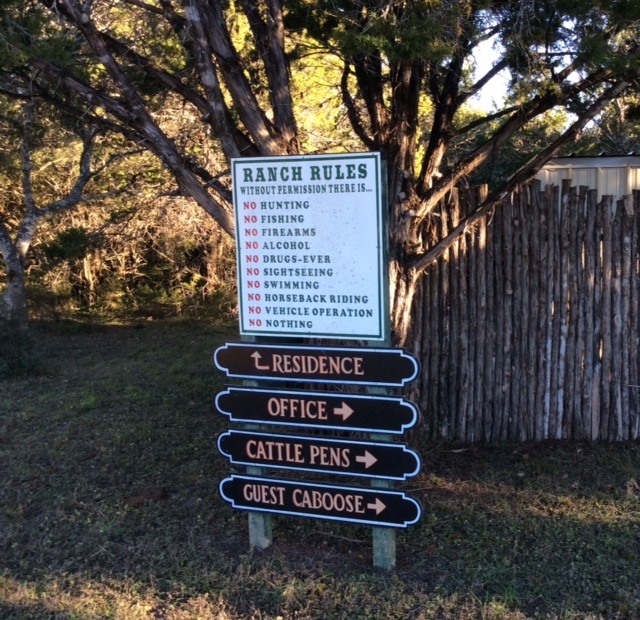 Ranch office building built in the mid 1980's. Main cattle pens with sky walk over for viewing. One of three well systems. Wells are 640 feet in depth. 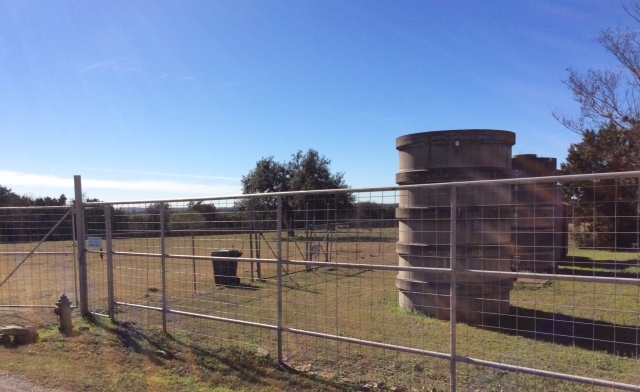 Secondary cistern system with 640 foot Trinity aquifer well.